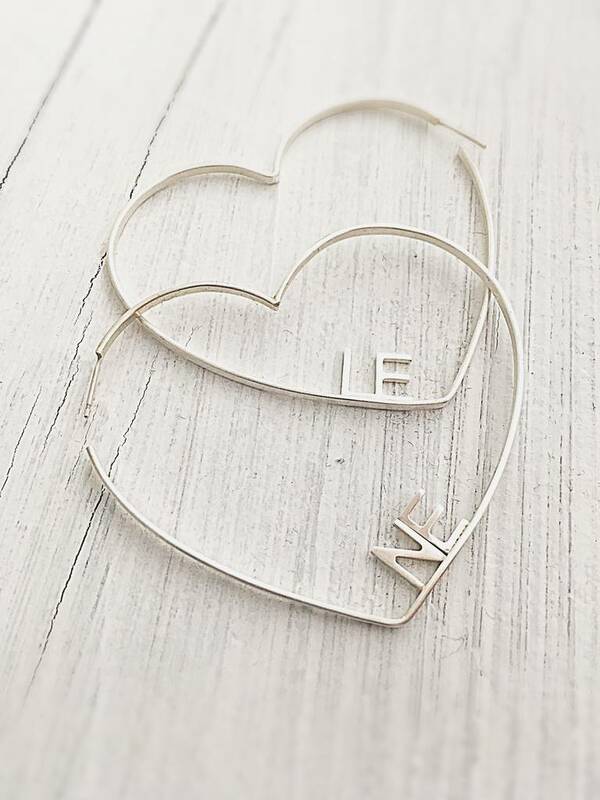 These modern minimalist handmade heart shaped hoops can be personalised with initials of your choice. 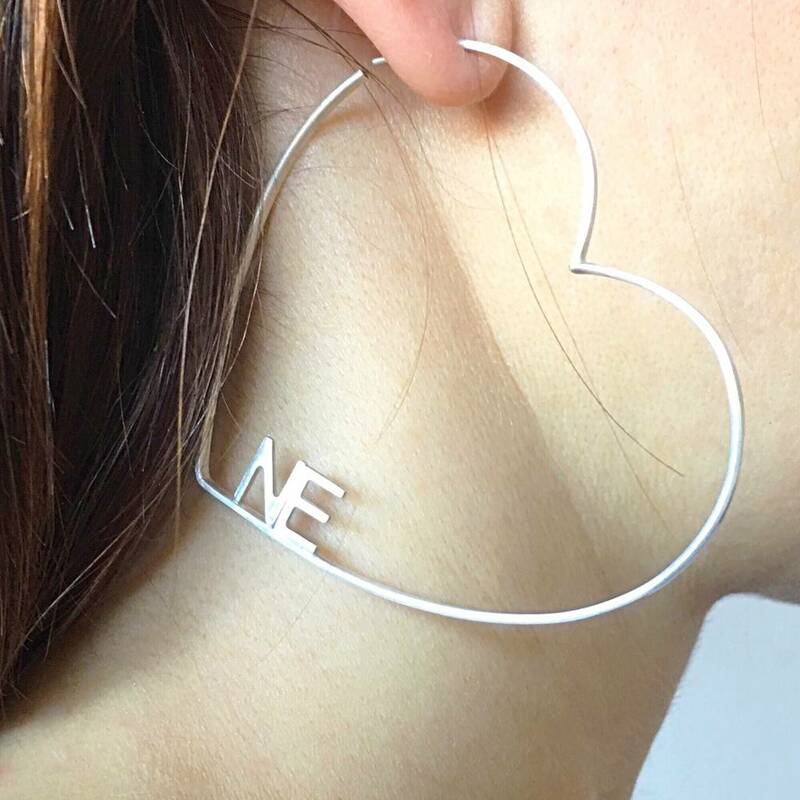 These heart shaped hoops are handmade from sterling silver wire and can be personalised to make them unique and one of a kind! They make a great statement for everyday wear or for that special night out. These contemporary trendy hoops can be personalised with up to four letters on each hoop. They can be initials, the same on both hoops or different initals on each hoop. You could also choose from four letters words words such as love, wish, hope or live, the choice is yours! If you wish to have the hoops without any personalisation please write the word BLANK into the personalisation box. 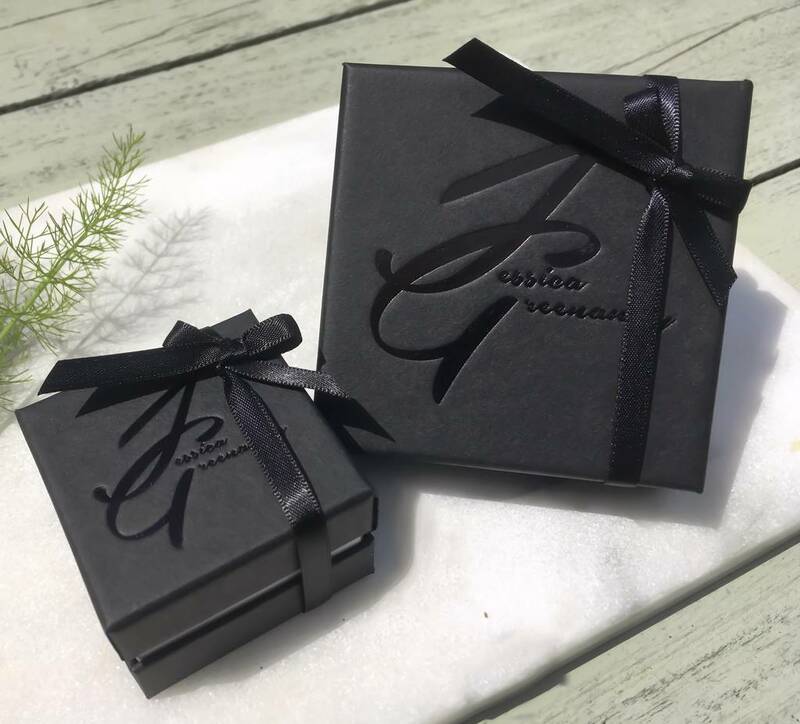 All jewellery is handmade in Jessica Greenaway's workshop and comes beautifully wrapped in bespoke gift boxes with satin ribbon. The heart hoop is 8cm wide and the letters are 10mm high. This product is dispatched to you by Jessica Greenaway.